On April 30, 2015, the Fourth Circuit issued a published opinion in the civil case Harris v. Norfolk Southern Railway Co. Norfolk Southern Railway Company (“Norfolk Southern”) appealed the district court’s grant of summary judgment against it on the issue of liability in a negligence action brought by Charles Harris, who sought compensation for injuries suffered from a train derailment. Harris cross-appealed the district court’s summary judgment grant against him on a claim for punitive damages. The Fourth Circuit reversed the grant of summary judgment on the issue of liability, affirmed the grant against punitive damages, and remanded the case for further proceedings. On July 21, 2009, Harris was working at a coal-loading facility (“loadout”) in Mingo County, West Virginia. Norfolk Southern employees backed an empty train of freight rail cars over an area of the railroad track running underneath the loadout where Harris was working. Both the train and track were owned and operated by Norfolk Southern. A section of the rail about 35 feet from the loadout was heavily corroded between the ball and vertical part of the rail. When the rail cars passed over the damaged portion of the track, a part of the rail separated and the cars derailed. When one of the cars crashed into the loadout’s support beams, the loadout collapsed and Harris subsequently suffered severe physical and mental injuries. The evidence showed that most of the track damage occurred months or years prior to the derailment. Summary judgment is reviewed de novo, viewing all facts and reasonable inferences in the light most favorable to the nonmoving party. Summary judgment is appropriate so long as the movant shows there is no genuine dispute as to any material fact and the movant is entitled to judgment as a matter of law. Under the Federal Rail Safety Act (“FRSA”), 49 U.S.C. § 20101, et seq. Norfolk Southern has a duty to inspect the rail in accordance with the comprehensive track safety standards (“TSS”) as set forth by the Secretary of Transportation. 49 C.F.R. Part 213. The TSS sets forth minimum requirements for how inspections must be conducted and how issues should be remedied. Section 213.5 of the TSS states that a track owner “who knows or has notice that the track does not comply with the requirements of this part” is responsible for remedying the problem in accordance with the TSS. The Fourth Circuit examined the plain language of the Federal Railroad Administration’s (“FRA”) commentary to the 1998 TSS amendments, and found that their reading of the phrase “knows or has notice” was reasonably interpreted to include constructive notice. The Fourth Circuit then determined the scope of Norfolk Southern’s duty to inspect the track. While the court rejected Harris’ contention that a visual inspection requires someone to look at every part of the track structure, the court concluded that a reasonable visual inspection must be made in light of the surrounding circumstances. In this case, evidence was brought showing that Norfolk Southern knew that the obstruction of coal and debris on the tracks could cause corrosion. Despite this knowledge, Norfolk Southern failed to examine any of the embedded portion of the track over a period of months and years. Thus, the Fourth Circuit determined that any reasonable jury would find that Norfolk Southern breached its duty to inspect. The Fourth Circuit concluded that a genuine dispute of material fact existed as to proximate cause. Expert testimony revealed that corrosion could have been detected through ultrasonic testing or digging out coal debris from the damaged parts of the track. However, the court noted that the testimony did not provide that the damage was consistent along the track or that it would necessarily be discovered by digging out sample areas of coal debris. 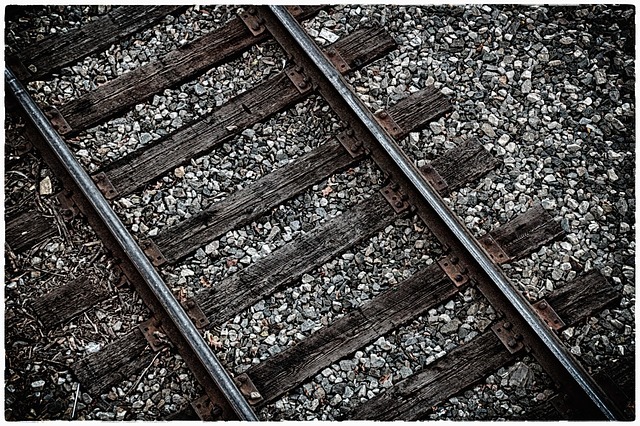 Because a jury could reasonably find that Norfolk Southern’s breach was not the proximate cause of Harris’s injuries, the Fourth Circuit reversed summary judgment on the issue of liability. The Fourth Circuit did not find that Norfolk Southern’s conduct met the standard of severe negligence required for an award of punitive damages. 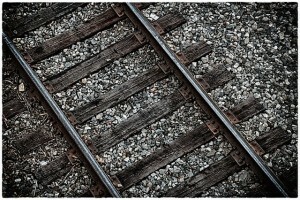 The court noted that Norfolk Southern conducted ultrasonic rail testing and visual inspections on a regular basis. While the defect remained undiscovered, the court held that Norfolk Southern’s actions simply did not rise to the near-reckless level of negligence needed to award punitive damages. For the above reasons, the Fourth Circuit reversed the grant of summary judgment on the issue of Norfolk Southern’s liability, affirmed the grant of summary judgment on Harris’s claim for punitive damages, and remanded to the district court for further proceedings.